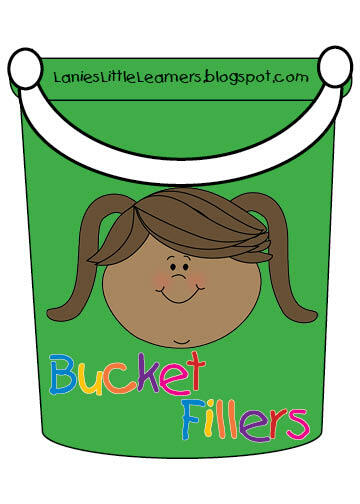 Lanie's Little Learners: Are You a Bucket Filler? Have You Filled a Bucket Today? 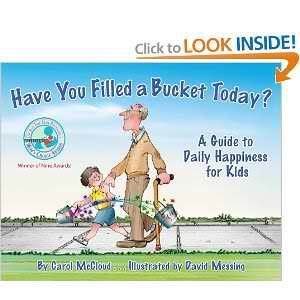 by Carol McCloud is a great book to teach young children about caring for others. How our actions and words hurt people around us. The book uses colorful illustration to teach an important lesson, thinking about others. The book describes everyone has an invisible bucket, you might not see it but it is there. The bucket’s purpose is to hold your good thoughts that make you warm and fuzzy. The book goes on to say, how you can become “bucket fillers.” The book’s definition of “bucket fillers” is someone who is a, “loving, caring, person who says or does nice things that make others feel special.” The book also goes on to describe the actions of “bucket dippers.” According to the author, Carol McCloud, a “bucket dipper” is a person who says or does mean things that make others feel bad. I am using the concept of “Bucket Fillers” and “Bucket Dippers” as part of my classroom management system in prekindergarten. According to Bright from the Start guidelines we are unable to use traditional behavior charts. This upcoming school year I am introducing the book the first week of school. I have designed our classroom rules around this theme. I have also purchased (2) buckets one is green for the “bucket fillers” which means go or good. It is a concept young learners can easily grasp. 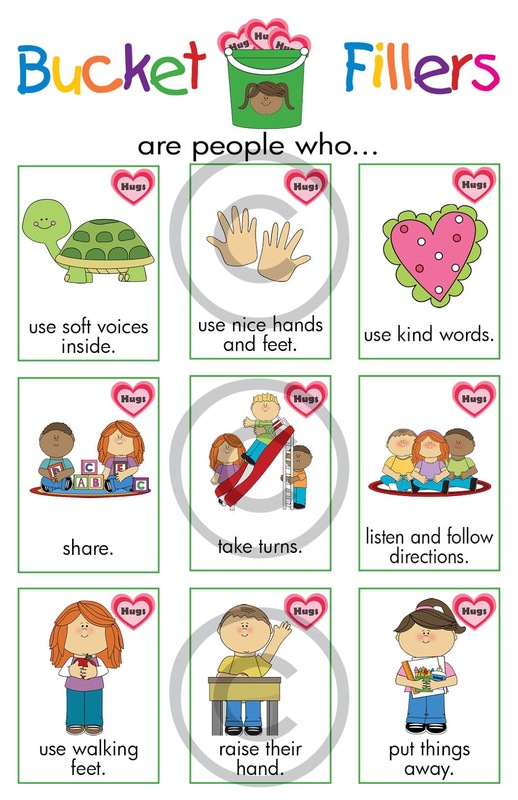 I also have printed a picture of a girl smiling to attach to the front of the bucket with the words “Bucket Fillers.” The second bucket is red for the “bucket dippers.” Again using concepts early learners can understand, red meaning stop and think about your actions. The picture for the front of the bucket is a boy who is sad and has a tear rolling down his face. After reading the book the children will hear scenarios that I have observed over the years of teaching and decide if the action is “bucket fillers” or “bucket dippers.” A child can draw a heart from the bag and depending on the age level either read the scenario or have the teacher read it. Then the child decides which bucket to place the heart in. 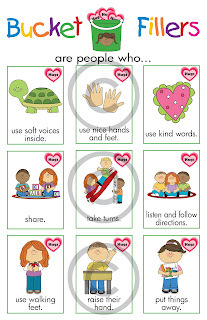 This is a printable I have designed and can be found at TeachersPayTeachers.com. Another activity for children to complete is a drawing prompt. Have the students draw a picture of how he/she can be “bucket fillers.” Let the child dictate his/her story to you and write the caption underneath. You can hang the pictures individually or combine and make a class book the children can revisit often. I have also incorporated a Kindness Recorder as part of our classroom helpers based on the ideas of Conscious Discipline. The Kindness Recorder’s job is to catch classmates being “bucket fillers” and add a heart to the bucket. At the end of the day we count how many hearts are in the bucket and say our Bucket Filler Chant which can be found at BucketFillers101.com. Can you tell me more about Conscious Discipline? Is it effective in your classroom? Did you take the course or read the book? Also, is the bucket fillers method still being used? Does it last the entire year?